Now that the , it’ll soon be time for the next X6 to debut. And, lo and behold, our spy photographers just caught an advanced prototype testing outside of BMW’s Spartanburg, South Carolina, production facility. The third generation X6, new X5, and will all be manufactured here. Sharing the X5’s CLAR architecture, the 2019 X6 will be more spacious inside for passengers and cargo alike, while its exterior will take on a more elegant appearance. These photos clearly show a vehicle that looks a lot like a larger X4, featuring a more streamlined, less jagged look than the outgoing X6. For some, today’s X6 has a slightly awkward-looking appearance, but it seems like BMW has fixed that. The prototype you’re looking, though covered in camouflage, . We can expect to see the same engines offered in the new X5 under the hood, which includes a 3.0-liter turbocharged inline-six with 335 hp and 330 lb-ft of torque in the xDrive40i. The xDrive50i has a 4.4-liter twin-turbo V8 with 465 hp and 479 lb-ft, and both engines are paired to an eight-speed automatic transmission. At some point, the X5 will be offered with a diesel option, but it’s too soon to know whether that’ll carry over to the new X6 as well. 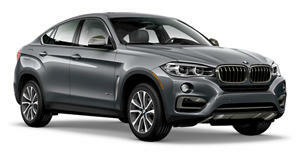 The new BMW X6 will likely debut very soon, right around the time the latest X5 hits dealerships. We’ll have to wait until after the new X5 M premieres to see the next X6 M, but chances are both will be unveiled by this time next year.